Hello all! Jerm here with an update for you on an amazing event in Tampa Bay next weekend! Did your last food sampling event leave you wanting more? 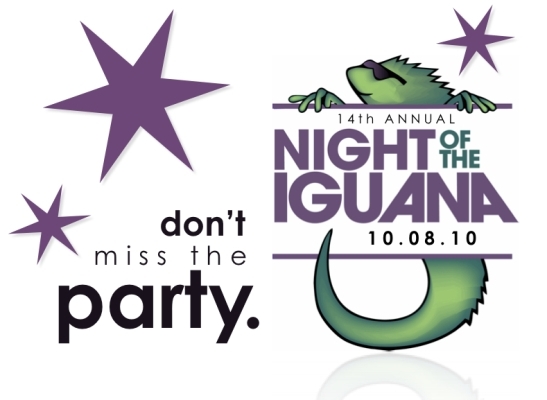 The Make-A-Wish Foundation of Central and Northern Florida has more for you at this year’s 14th annual Night of the Iguana! Come out for an evening that is sure to leave you satisfied. In addition to Tampa Bay’s finest restaurants including Brio Tuscan Grille, Donatello, Ruth’s Chris, Maggiano’s and Oystercatchers; the evening will keep you intrigued with live and silent auctions, performances by a bay area Wish child, the Tampa Bay Buccaneers Cheerleaders, and a spectacular fire show! Come meet this year’s star Wish child, Kate, who will introduce you to a furry friend that could become the next member of your family. Also hear about Kate’s wish experience as a Junior Tastemaster™ for Cold Stone Creamery—who will be serving Kate’s Creation™ to guests. We have granted 85 wishes this year and want to celebrate with our community—it’s a chance for everyone to pair fine cuisine and exciting entertainment with a great cause and share the power of a wish. All proceeds go to support our mission of granting the wishes of children with life-threatening medical conditions in the Suncoast region. That&apos;s it for now, but be sure to check back often for more updates on things to do in Tampa Bay!